painted furniture | Interior Images Ltd.
A painted piece of furniture is often an excellent choice for an accent to a room. It often adds a bit of character and interest, and can tie in all the colors used in the setting to join the area together. 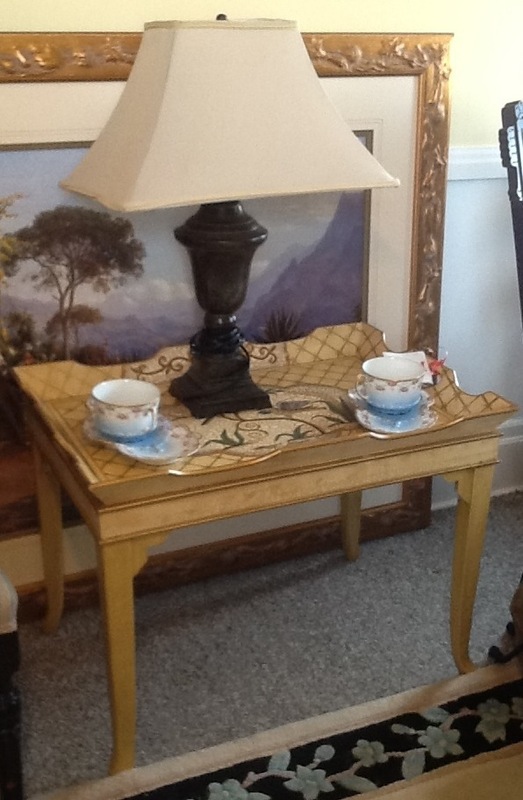 This little tray table could be used as a stationary coffee table, or you could present afternoon tea to callers in the parlor, and then whisk it away when the dancing begins. It is a unique, hand painted little item, that can be bought for $235.